some news and for sure again a little sneak peek for the upcoming Fantasy Gacha Carnival. This pretty Staff is from Sad Harlequin for Totally Top Shelf. i can’t stand to make a second post with this stunning Armor Parts from Luas cuz this set is just fabulous <3. 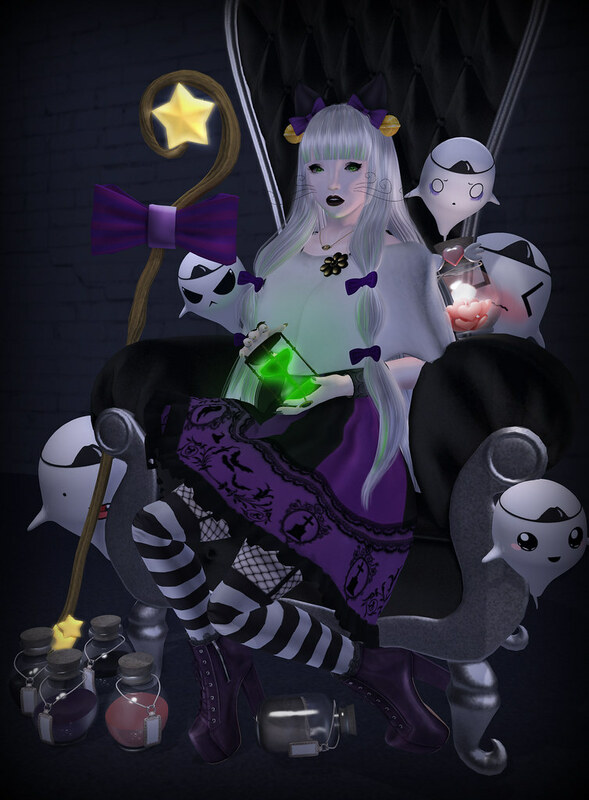 My Horns & Hooves are from Nerdology for the upcoming Fantasy Gacha Carnival and the reason for this posts name. Today i come to you like a porcelain doll, with a super pale skin from Glam Affair for Project Limited and an amazable Outfit from Aisling for the freshly opened Secret Affair. My cute hairs are on of the releases from Atomic for the Hair Fair \o/ (i must say i love when Ivy makes hairs, i’ve some from an older shop (Auxillary) too). Damn so i began to add some lavender/violet details and decided to go for light lavender colored hairs to match.